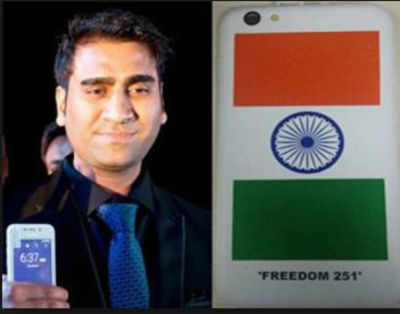 There are too many Talks going on in the town but Finally Freedom 251 creater Ringing bells director Mohit Goel given answers to some unanswered questions that every human being would like to know. Ashok chadha said the pricing model for Freedom 251 depends on many realistic factors. The company will easily bring down the cost to Rs.1200 as their pricing model economies can further scale. There are many Apps which will be pre-installed so making another Rs.300 more reduction in Price. As Company will also monetize the heavy traffic on website and will make this place as a marketplace for other companies to launch their Product so adding further reduction in price. Mohit also told they are also looking for manufacturing plants which can be set up around some places in India. The company is at the verge of finalising few locations which can be in Uttrakhand, Bihar,West bengal and Punjab. SnatchBig opinion still we feel that the justification for 3g Mobile smartphone in just Rs.251 and still making a profit of Rs.31 is undigested as upcoming time will clear rest of the picture.Stay tune ! !